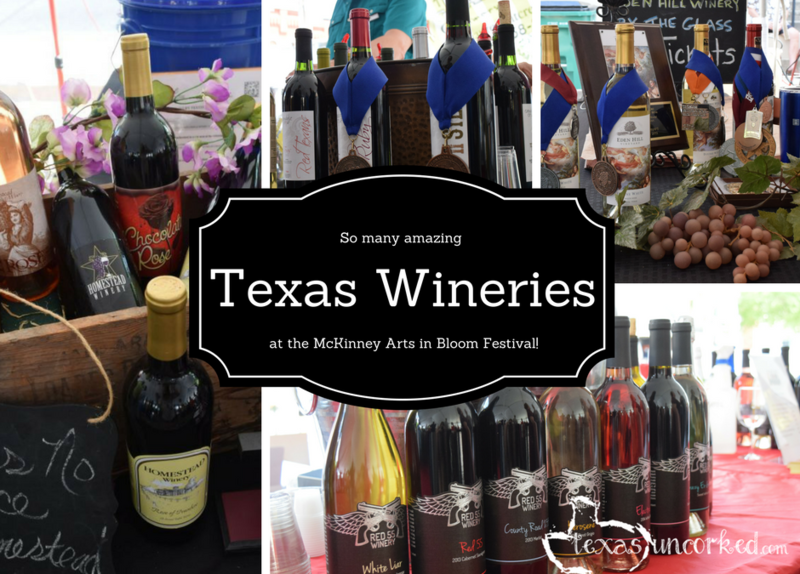 We’ve been to the McKinney Arts in Bloom festival a few times over the years and, you know that saying about “it just keeps getting better”? Well, it really does. 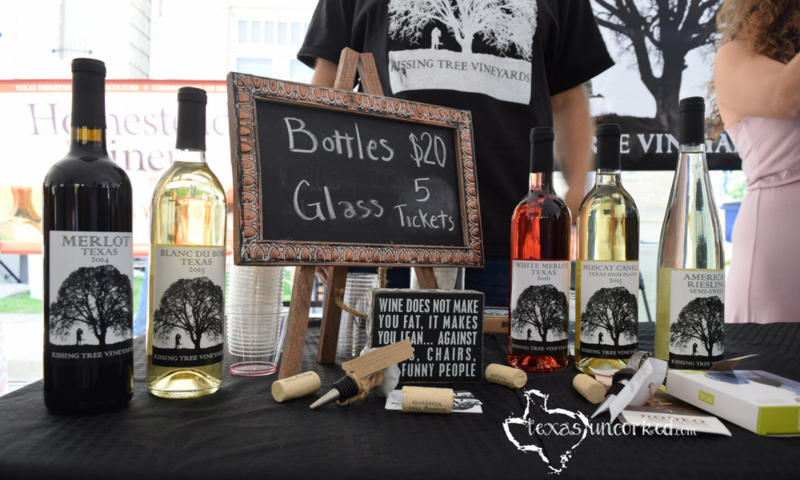 We’ve seen this festival blossom from just the McKinney Square proper out to flooding each of the side streets with artist vendors, wineries, three musical stages… It’s a beautiful thing! First, let’s talk about who was there. 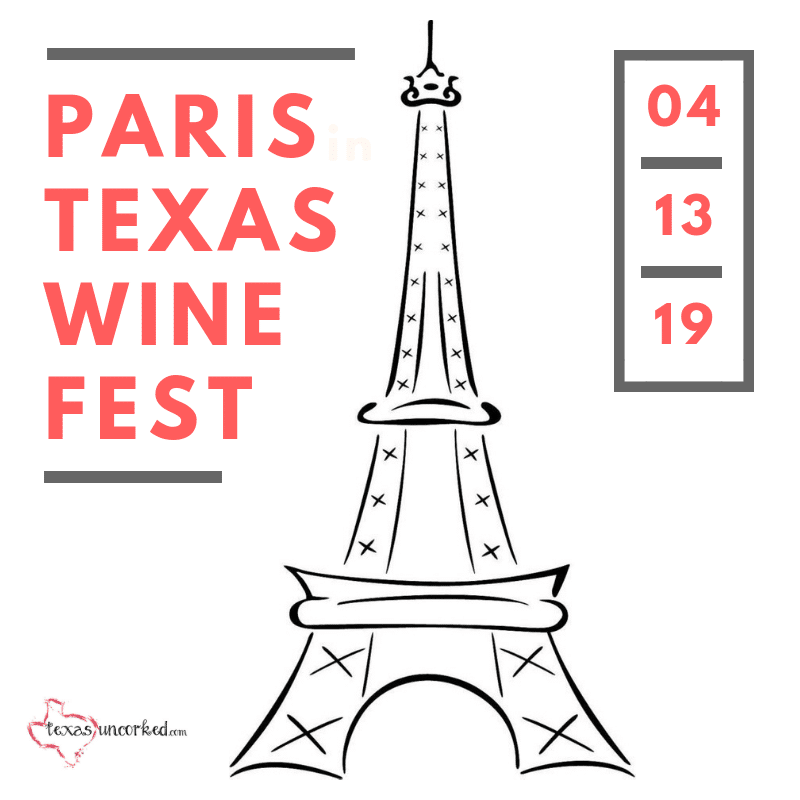 Carmela Winery, Caudalie Crest Winery, Eden Hill Vineyards, Grayson Hills Winery, Homestead Winery, Kissing Tree Vineyards, Lone Star Wine Cellars, Landon Winery, Marker Cellars, Los Pinos Ranch, Red 55 Winery, Sugar Ridge Winery, Texas SouthWind Vineyard and Winery, and White Fox Vineyards. Quite the exciting line up, if we say so ourselves! These guys drove clear across Texas toting their prized masterpieces to this festival. Like most festivals, there were quite a few tastings included with the entry fee. A cool $20 got you a tasting glass and 10 generous pours. One of my favorite things about festivals and such is keeping the glass. It’s a cool memento to add to my collection and brings back fond memories when I’m ready for a glass of vino. 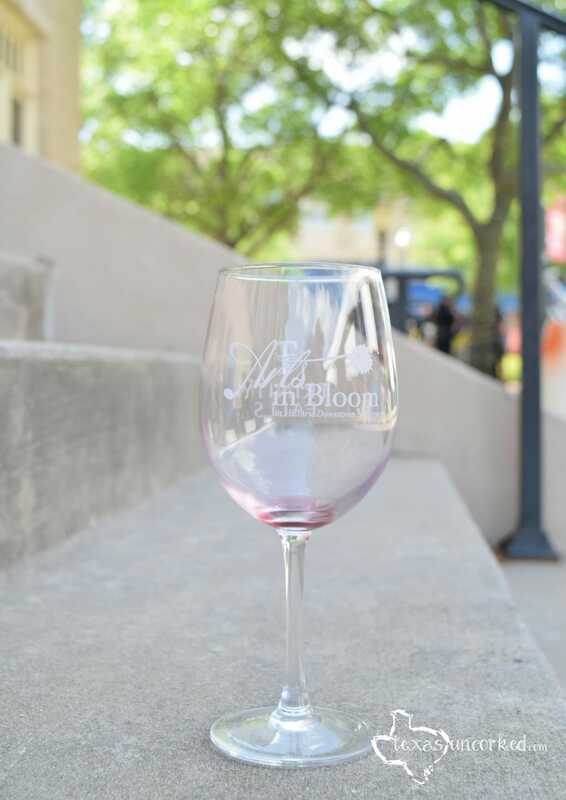 Here’s the glass from the McKinney Arts in Bloom Festival. Isn’t she a beaut?! Pics or it didn’t happen? Challenge accepted. We’re going to cut right to the chase. Look. At. These. Lovelies! 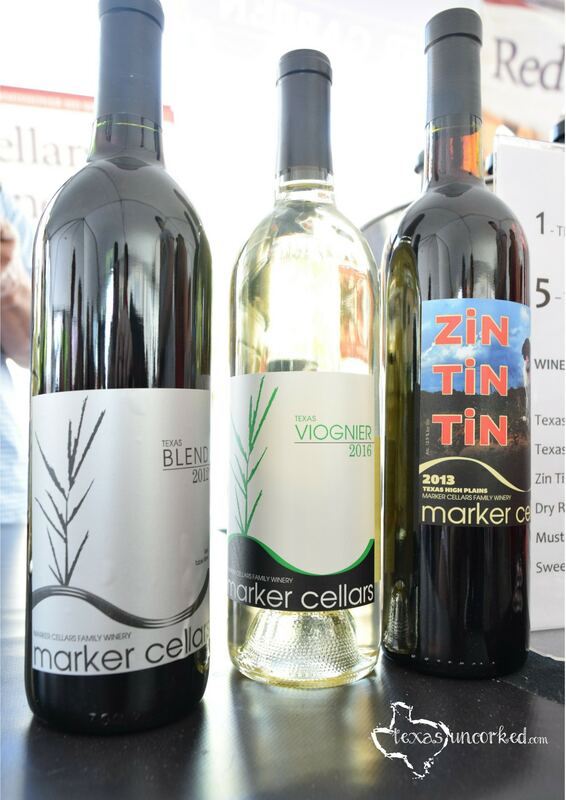 Marker Cellar’s Texas Blend was quite delightful as we’re huge fans of Texas Reds. Zin Tin Tin made us feel giddy. 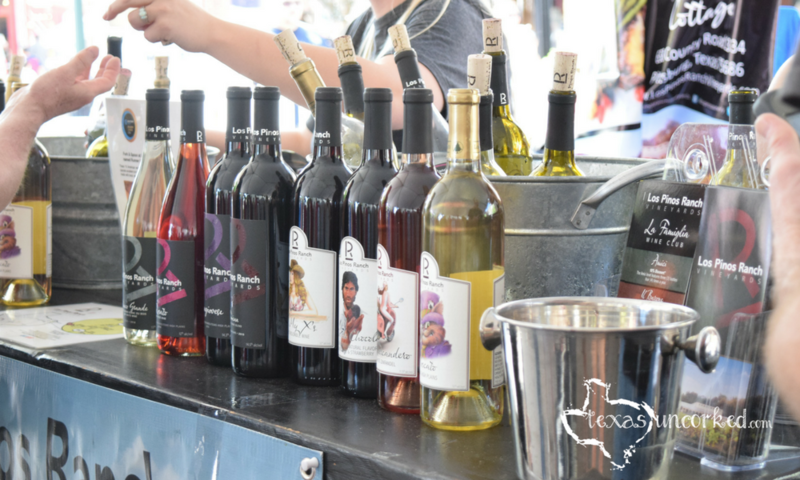 Just look at that lineup from Los Pinos Ranch! The Texican was such a smooooth wine. Plus, we love their fun, catchy labels. We also loved the really cool peeps they had at their booth. Exceptional people and we’re definitely going to have to make a trip out to their winery. It’s about 2 hours East of Dallas. Can you hear that day trip calling our names?! We also thoroughly enjoyed the selection Kissing Tree Vineyards brought to the table. A little white, a little red, a little rose… little bit o this, little bit o that. A whole lot of YUM! 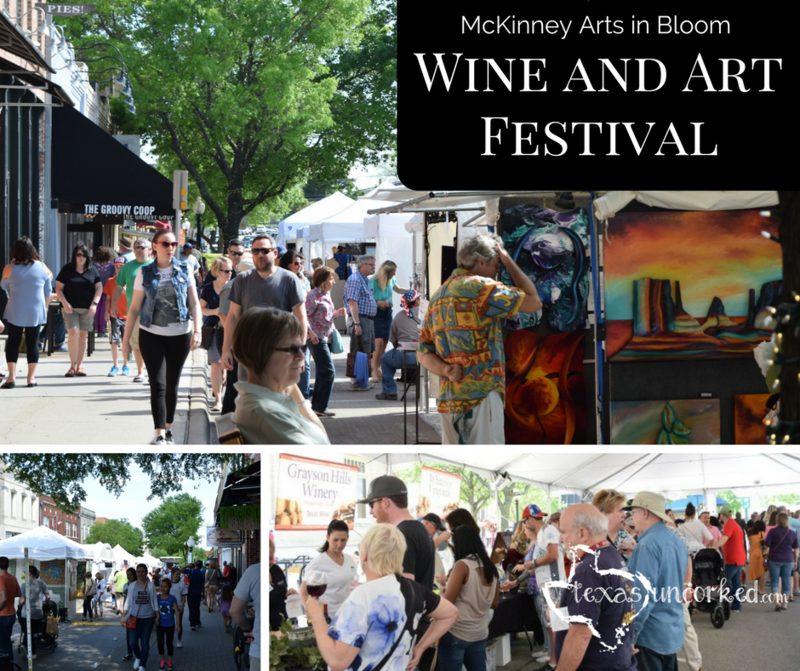 In addition to the Wine Tasting Tent, the McKinney Arts in Bloom festival was in full swing with artists, bands, food, and so much to do. We had a freaking blast and, you’re in luck… they put this thing on EVERY YEAR! Woot! So. Did you go? Did you have fun? Drop us some comments about how much fun YOU had at the festival. See you there next year!